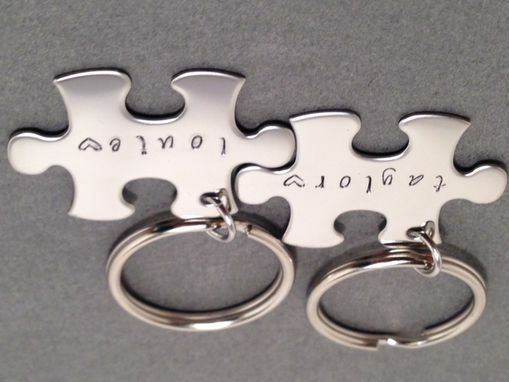 These handstamped keychains are a great gift for couples or anyone special in your life! 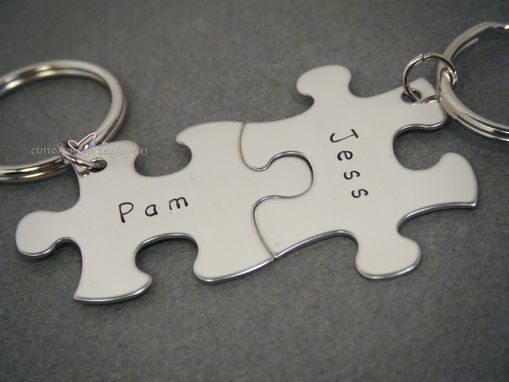 Each puzzle piece is stainless steel and 1 x 1.5 inches. 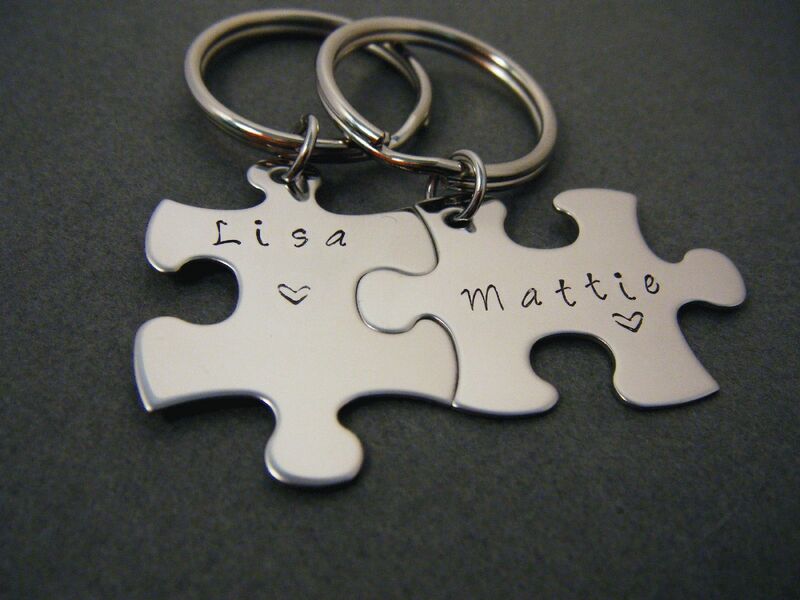 Each puzzle stamped with a name and a heart under.